You are a cat lover, right? But you also have a problem with allergies. Felines produce dander which is a common allergen and that’s at the root of the problem. But did you know that there are no 100%hypoallergenic cats? Some cats, however, come pretty close to the mentioned figure. 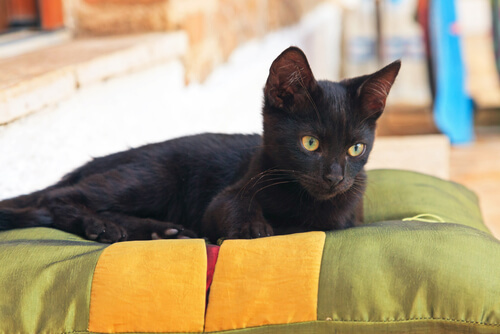 Let’s take a look at those hypoallergenic breeds and who knows, we might be able to help you find your perfect feline friend. This one has quite a special kind of fur. 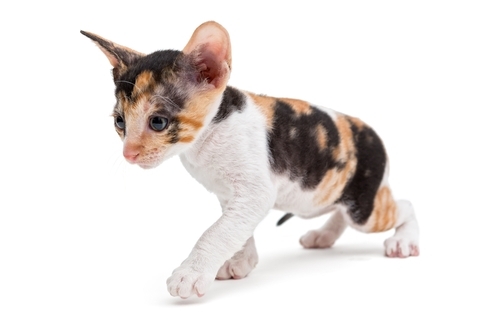 While the majority of cats’ fur is arranged in three layers (top, middle and bottom hair) the Cornish Rex only has a bottom undercoat of down hair which means that they are quite soft and a lot less hairy than the rest of their cousins. Shedding less hair means a lower risk of causing an allergic reaction. Considering that they only have one layer of hair, they are less likely to cause a problem with allergy. 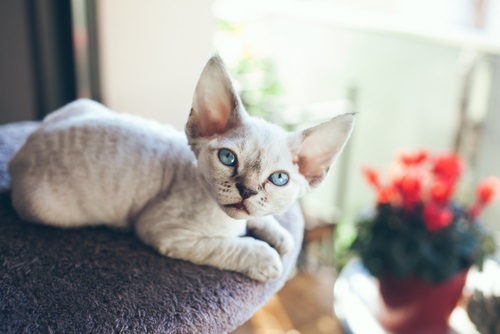 Just like its cousin Cornish, the Devon Rex also has the same coat type and that is the soft down hair used to make up most cats’ undercoats. 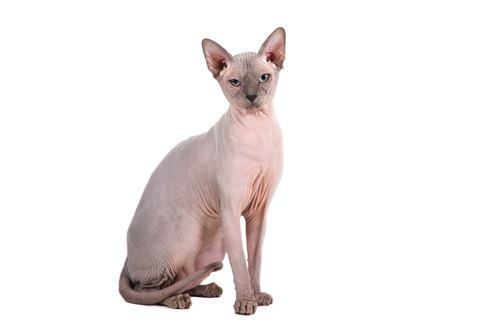 To make things even better, Devon Rex has even less hair than the Cornish Rex, so it sheds even less. Therefore, that low risk of having an allergic reaction just decreased even more. Oriental Shorthairs have fine, short coat and they shed very little. 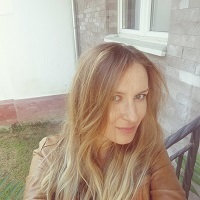 The best thing you can do here is to brush it on a regular basis, so that you remove any loose hairs and further reduce the amount of hair it drops. Oriental cats aren’t as efficient as the cats we mentioned before allergies-wise, but that is no reason to overlook it. It still is a hypoallergenic cat breed. Russian Blues don’t possess any special coat qualities that set them apart from others, but they do produce less Fel d1 (the protein that cats secrete from their skin which triggers allergies). 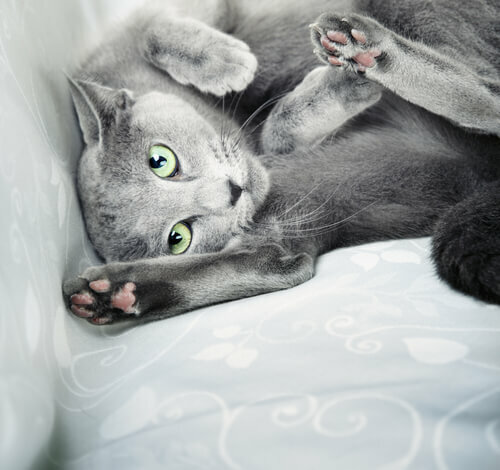 The Russian Blue is also well-known for its ‘smile’. It has a slightly upturned mouth and many compare it to the enigmatic Mona Lisa smile. The Russian Blue is a bit of a loner, but only in the sense that it can enjoy itself even if you leave it home alone for the day. It will be happy to see you when you arrive, though! The Balinese cat is similar to the Russian Blue when it comes to hypoallergenic tendencies. The Balinese cat also produces less Fel d1 which means that they are less likely to cause an allergic reaction. The Balinese is also known for its remarkable intelligence and high energy. This cats gets along well both with humans and animals which can only be a good thing. You are probably wondering why we put the Siberian cat here because it has a long coat. 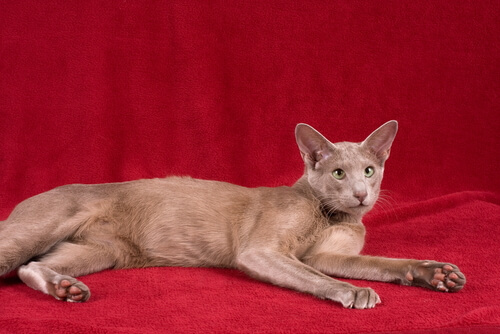 Yes, it has a stunning long coat, but just like the Russian Blue and Balinese, this cat’s skin produces less Fel d1 than most other breeds and that’s why it is considered hypoallergenic. It is a large cat with a lush double coat, but it is hypoallergenic, so you don’t have to worry. Remember that we aren’t the only ones who can develop allergies. Our (not so) furry friends can develop them too. 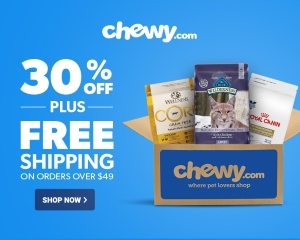 And that usually happens because of foods full of additives, fleas, flea-control products etc… Go for all natural pet food, and opt for natural cat products or if you want to minimize the risk of your cat developing allergies. We also recommend to check out Parcelpet’s article “Discover: Best cat food for sensitive stomachs” for more info. We hope that your problem is solved now. You now know which cat breeds are less likely to cause an allergic reaction, but be sure to check everything with your doctor first. Just know that hypoallergenic doesn’t translate to 100% dander or Fel d1 free!